Just so everyone knows, I live in Canada, so the prices and such that I am going to talk about are in Canadian Dollars and shipping times are international from the Netherlands to Canada as well. Disclaimer: I was chosen to be an Instagram representative for DiversityBear and was sent this box for review. I am required to post pictures on Instagram of the contents, but I chose to review it on my blog as well. Receiving the box for free did not impact my opinion of the contents. 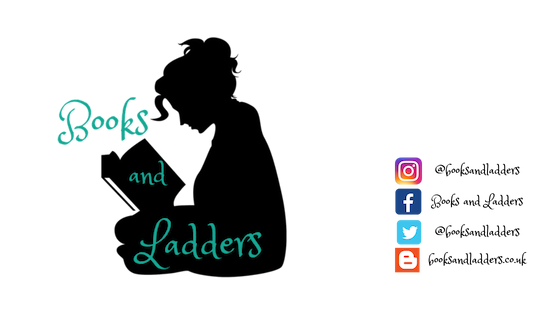 However, as a perk, you can order a box for yourself using my discount code LADDERS05 to receive a percentage off your order. Every Other Month! Right now, it is offered as a single month purchase. The March theme is "Meet Your Destiny" and the May theme will be announced soon! Each Crate is: €20 plus delivery. Delivery in the EU is €5, non-EU delivery is €20. That equates to about $62 Canadian. The owner, Marjo, informed me that the box was shipping on March 8th, and I received the notice card to pick it up from the Post Office on March 15th. That means it took roughly a week to get to me, since Canada doesn't have mail delivery on weekends. The ordering process is fairly simple. I walked myself through it now so I could tell you guys about it. I will say that the "English" version of the site didn't work for me so I used the Google Translate version of the Dutch website which wasn't perfect. But the general idea of it works well and I was easily able to put in all my information and would have been able to hit the purchase button and get a box! 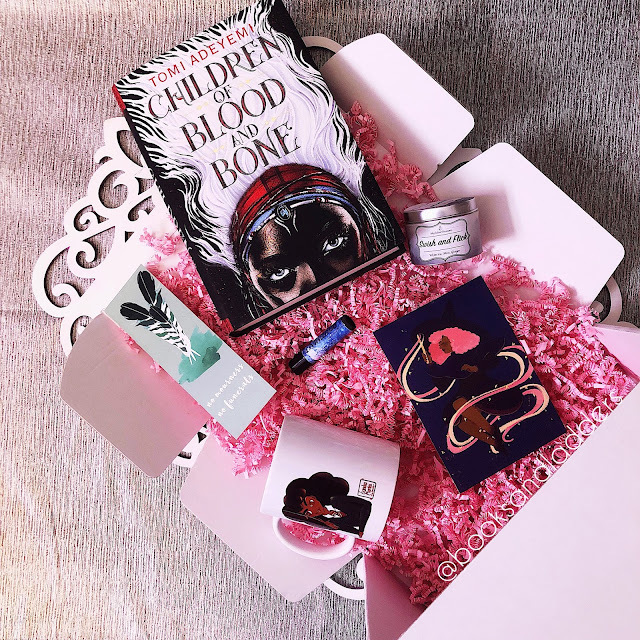 Included in this box was a copy of CHILDREN OF BLOOD AND BONE by Tomi Adeyemi! I have an ARC of this one but the hardcover is absolutely GORGEOUS so I am really glad that I could have a physical finished, finalized copy. I am so happy with everything that is inside this box! I think this month had even better items than the last one and I am so happy there was a mug. I think if I lived in the EU, I would definitely subscribe to this box. It has a lot of really interesting things and promotes diversity with every box. It's a good way to put money behind creators that are diverse in nature and get interesting things from it. However, the cost of shipping is too much for me. I can't afford to pay $62 a month for anything to be quite honest. Maybe if I had a second job or got a promotion at work I could afford it but until then it is just a tad out of my price range. So you balance the good (the contents) with the not so good (the shipping cost). I do absolutely love the box and the contents, I just cannot justify spending that much money on shipping. 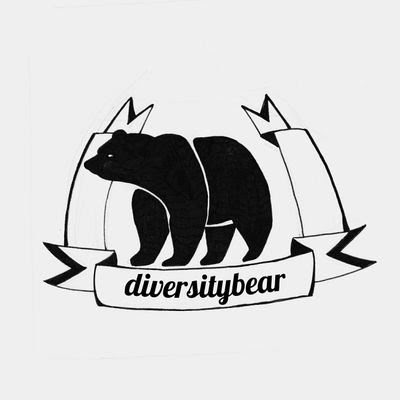 Don't forget, you can use code LADDERS05 for a discount when purchasing DiversityBear!